His first book, Share Investing for Dummies, was published in September 2002; with an updated version appearing in 2006. James was researcher for Robert Gottliebsen’s book The Ten Best & Ten Worst Business Decisions of Australian CEOs, published in March 2003. Born and raised in Ararat, western Victoria, James graduated from the University of Melbourne as Bachelor of Letters and Bachelor of Arts. 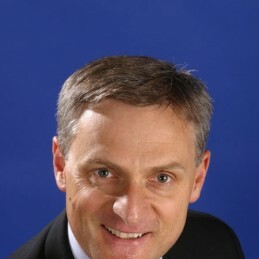 He is a fellow of the Williamson Community Leadership Program, operated by Leadership Victoria. James is on the editorial committee of Leadership Victoria’s biannual magazine, Leadership. In 1984, James won two BMWs on Sale of the Century. Selling the cars financed a year of overseas travel and also a share portfolio which did not survive the 1987 crash, the event that inspired James to become a finance journalist.